I am shy since I was young. It’s hard for me to ask a favour. It’s always a joy to send your love back home with things you work hard for and with the help of friends, family, and kababayan. Because as an OFW, we can do more. We can give more. Save more. Be the best person we can become in Canada. So how do you like the goals so far? It’s going to be fun. It’s all about financial literacy in its simplest form. It’s a journey for all OFW in Canada. And Pwede Padala is where we can share our story (mostly about finance and misadventure of missing the best deal). Who Even Bother to Make this Blog Anyway? That would be me. Your Pwede Padala Gal. Again, I’m not in the business of shipping balikbayan boxes or remitting money to the Philippines. I’ve been wanting to share what lessons Filipinos are teaching me about life whether online or in public places like chatting in a bus. My first blog post in October years ago made me realized that I have to speak my mind. Why not reveal my name? So I can write anything I want and not be sued. I intend to write in details (with numerical figures) and not to worry of giving the wrong signal to anyone who knows me that I’m shovelling Canadian dollars like a snow. I left most of my second-hand possession in the Philippines but not the habit of saving. Most of the time, I share personal finance tips to friends and family. Sometimes they listen (or pretend to). Why STOP then! So the shy girl decided to talk . . . louder on the Internet. Aside in stubbornness, I have other odd qualities/habits I let out from my baggage which I brought all the way from the Philippines. 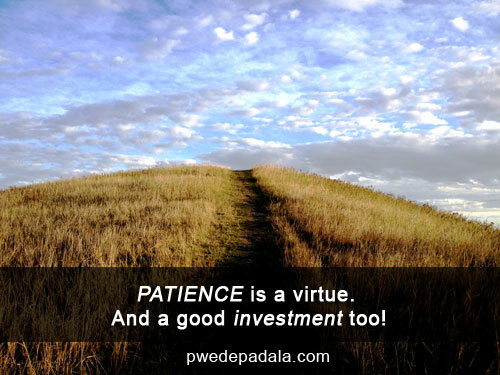 Read on if you are curious; otherwise, why not read the latest posts of Pwede Padala. Fact: I don’t like being the center of the discussion. But to be honest, I had fun thinking odd facts that I made a post about myself. It’s a long list so I moved and turned it into a blog post. I’m not letting you off the hook because you have to do your share. In Pwede Padala, you can share your stories to OFWs in Canada or other countries. We can learn from each other wherever we are. As your Pwede Padala Gal, you can also ask me a question or suggest a topic. It’s all going to happen here. HERE!